Replace lost facial volume and restore the soft, subtle curves that time has taken away with dermal fillers that mimic your natural tissue. Plump and accentuate the cheeks with a balanced, harmonising approach that aims to create ideal contours and curves. When strategically placed, new generation fillers reproduce the bone structure that depletes as we age, replacing or enhancing the jawline and cheekbones. Our safe dermal filler injections have been used all over the world - by more patients than any other. We use reputable dermal fillers, as we don’t believe it’s worth compromising on quality when it comes to the products that we place in your face! Forget the puffy, over-filled extremes of times gone by; our results are subtle and natural. How does dermal filler rejuvenation work? As we age, not only does our skin lose its elasticity and thickness, the underlying structures that create the healthy fullness and curves in our faces begins to diminish. As bone structure and muscle diminishes, fat deposits are depleted - and head south! The first sign of this process is usually noticed in our 30’s with the appearance of a thinning lower face, less fullness in our upper cheeks and a loss of the straight, firm jawline we once had. During our 40’s and 50’s we notice more prominent nasolabial folds, slight downturning of our mouth edges, fine lines around our mouth and chin - and hollowing in our mid face. The area below our eyes can appear depleted of volume as well, and our jawline and neck area becomes less defined as skin that was once supported in our upper mid face, no longer has the underlying structures filling it there - so it begins to accumulate in our lower face. adding cheekbones, definition to a chin, or changing the shape of your nose. During our 50’s and 60’s, this continues to cause a flattening of our facial profile, sometimes exacerbating the appearance of asymmetry - and giving the tired, hollowed look both men and women often complain about at this age. Revolumising facial fillers are comprised of a naturally-occuring dermal filler gel that attracts water when injected under the skin. Through strategic placement of the filler product under the skin with a fine needle, the filler attracts fluid from the surrounding tissues and swells. Depending on the type of filler, and where it is placed, the gel can replicate the support of lost bone structure or fat, while smoothing the skin above it and giving a firm, hydrated appearance to the complexion. It can be used to add cheekbones, create definition to the chin, change the shape of your nose and reduce temporal hollowing. Your first consult will include a complimentary facial assessment to determine the best treatment approach for you, so the initial appointment will take about 45 minutes. Thereafter, your maintenance visits will take approximately 20 minutes. A recent survey by Allergan found only 20 per cent of women would choose to look five years younger if they had the option, 41 per cent said they wanted to look refreshed and radiant, and 76 per cent wanted to grow old gracefully. What will happen during my facial injection consultation? Your clinician will examine your facial features. They will discuss your perception of your face, and your desired outcome from the treatment. You will also be informed of the potential side effects and complications of cosmetic injections, and your post care instructions. You’ll receive an estimate of the amount of the product that is required to create an ideal result. Before your treatment, photos will be taken and your lip area will be cleaned with alcohol. You will also be offered topical anaesthetic, which can be placed on the lips to decrease sensation. The injections themselves take 5 to 10 minutes. If this is your first treatment, a review appointment will be booked in 2 to 3 weeks to assess your results and see if any adjustments need to be made; this won’t be required for subsequent treatments. Does PRAHS Clinics use injections or cannula to place facial filler? We use both, depending on the area. Your clinician will assess your face, discuss your desired result and make the decision to use either a needle or cannula to deliver the filler. The use of cannula reduces the number of injection sites and potentially decreases bruising and swelling due to the reduced trauma to surrounding tissues, however it is not suitable for all injection sites. How much do dermal filler injections cost? How long until I see my facial rejuvenation results? How long will facial injections last? Results will last anywhere from 10 to 18 months. The substance used in dermal fillers is a naturally occurring derivative of sugar which is naturally found in the body, and safely absorbed over time. The duration of your results will depend on how quickly the dermal filler is absorbed by your body, as this can vary from person to person. Are there any side effects of crows feet njections? Cosmetic injections to reduce frown lines are very safe. The most common side effect is local bruising around the injection site, and a dull headache, which about 10% of patients experience in the days following treatment. Less common, but possible, side effects can be asymmetry or drooping of the eyes or cheeks. 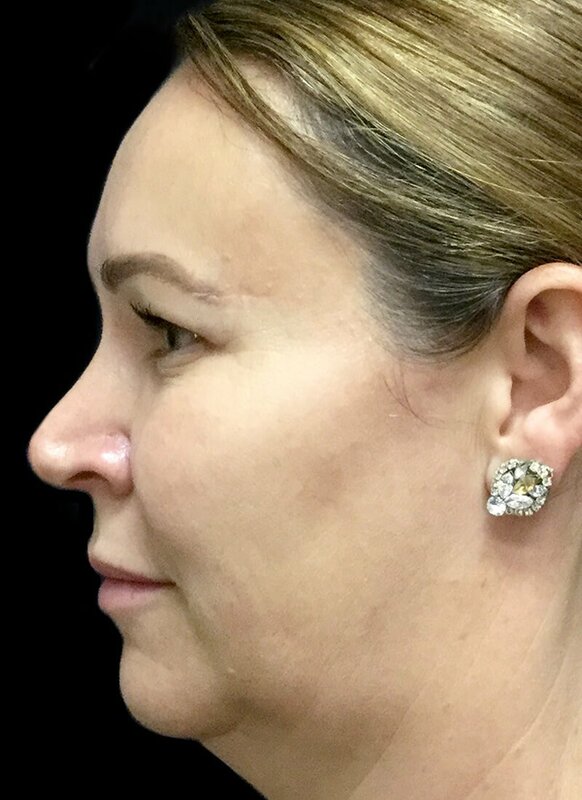 If you already have visible facial asymmetry (most people do), sometimes your initial results may take effect at a different pace and each side of the face adjusts to the treatment. This is very normal and usually resolves within a few weeks; it will be assessed at your review visit and if necessary, can be ‘tweaked’ to adjust the amount of product placed and even out any remaining asymmetry. This is one of the factors our clinicians take into account when treating patients. We would always prefer to under-treat initially, and then add more once your initial results are evident, than to over-treat in your first visit and create an over-injected, undesirable appearance simply just to sell a higher volume of product! 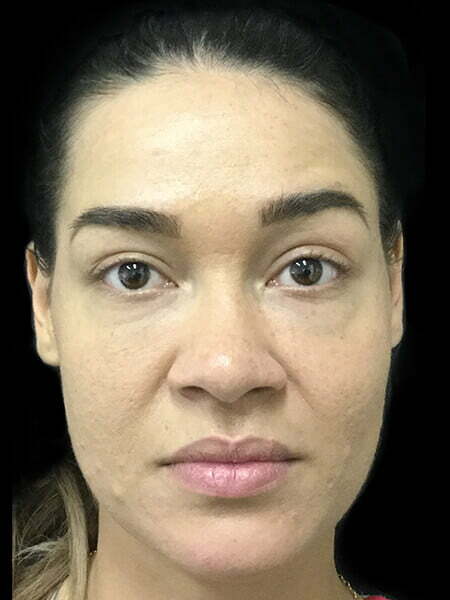 The longevity of results can vary from patient to patient, but generally most patients have their treatments every 3 to 4 months to maintain their results and prevent further deepening of static (permanent) lines in their crows feet. Do crows feet injection hurt? We use the smallest possible needles to deliver your treatment, and most people find it very tolerable - at the most like small mosquito bites. There is no clinical need to rest or have time off work after the injections, and you will be able to return back to normal activities straight afterwards. However your face may look swollen and bruised for several days after the treatment, so it is good to keep this in mind if you don’t want others to be aware you have had the injections. During your consult your clinician will explain your post treatment care instructions, and you will also take home a written post care sheet. You may be encouraged to gently massage the treated area in the days following the treatment. It isn’t advisable to wear make up over the injection sites or have facial massages or dental treatments for 48 hours. It’s important to follow your clinician’s advice and also read your take-home post treatment care instructions carefully. Are there any side effects of cosmetic dermal injections? Dermal filler injections are very safe. The most common side effect is local bruising and swelling around the injection site. Less common, but possible, side effects can be infection or local allergic reaction. Infection can occur immediately or some weeks (or uncommonly, months) after the injection. Symptoms include redness, localised heat, tenderness, swelling and pain - with or without lumps. It is important to contact us if you experience these symptoms after your treatment. It is normal for your face to feel lumpy and bumpy for the first few weeks - and this can be frustrating as you will be eager to see the results straight away! This usually resolves, and can be assessed at your review visit. If necessary, any irregularities can be ‘tweaked’ to adjust the amount of product placed. This is one of the factors our clinicians take into account when treating patients. We would always prefer to under-treat initially, and then add more once your initial results are evident, than to over-treat in your first visit and create an over-injected, undesirable appearance simply just to sell a higher volume of product! Do dermal filler injections hurt? Fortunately, the high quality modern dermal fillers we use are infused with local anaesthetic, so as the product is injected, it also simultaneously numbs the area. This makes the treatment much more comfortable than cosmetic injections have been in the past. We use the smallest possible needles to deliver your treatment, and most people find it very tolerable. If you are concerned about discomfort, please ask us to book you in for pre-treatment topical anaesthetic. See below for more details. What is the 'ideal' face shape? Just for fun, flip through a copy of WHO Magazine’s ‘most beautiful’ people each year - and you’ll notice there is no single version of beauty. Each face is unique, with its own individual nuances and characteristics. As such, there’s plenty of exceptions to the rule when we start talking about ideal facial features. Rather, there is a set of facial attributes that the human eye subconsciously assesses as indicating good health, vitality, trustworthiness and kindness (and those are much more sustainable aesthetic goals than ‘young and hot’). Ethical cosmetic enhancement and rejuvenation takes note of your core facial features - such as eye shape, the distance between your eyes and between your nose and upper lip - as well as bone structure, nose shape and fat pads - and works in harmony with these. For thousands of years, humans have been fascinated by the concept of ‘Divine Proportion’ or the ‘Golden Ratio’ which deems ideal proportions to be 1:1.62 (also known as Phi in mathmatics). This ratio is nature’s symmetry and occurs naturally in life. The premise behind this is that the closer a face or object is to the golden number 1.62, the more beautiful it becomes. Even though they are not usually measured down to the millimetre to achieve this, most injecting techniques aim to achieve symmetry and harmony based on this principle, creating fullness in the upper mid face where the cheekbones are located, so that light hits these areas and when viewing the face from the side, a gentle ‘S’ shape is formed. Buffering bony temples and brow lines with a thin layer of filler can create a more healthy appearance, while well-placed mid face filler has the effect of pulling up the skin in the lower face, reducing the jowls and loss of jawline definition. In a woman’s face, imagine an inverted triangle. In men, the opposite applies - the brain appreciates strong lower face features and less upper and mid face volume - think strong jawlines and brow lines, deep-set eyes and well defined chin. Face shape changes as well through the decades as we age - and injecting techniques should take this into account, as the goal is always to just look good for your age - rather than appearing as though we are trying to force a 50 year old face to look 18 again by over-plumping and filling! Can dermal fillers also be used in the lips? Yes, dermal fillers are also commonly used in the lips to replace lost volume, restore the vermillion boarder to reduce deep lines and lipstick bleeding - as well as enhancing naturally thin lips to give a subtle, soft pout. Click here to read more about this treatment. Can facial injections be used alongside muscle relaxing wrinkle injections? When paired together, dermal fillers and wrinkle injections are a powerful combination of treatments to achieve visible, long lasting rejuvenation. This combination of treatments can be done in the same visit to our clinic, and work to smooth wrinkles, stop new ones from forming - and support the skin by creating underlying facial structure. Click here to read more about cosmetic wrinkle injections. Are dermal filler injections used to fill scars from previous surgery? Yes, dermal fillers can be an effective way to restore lost tissue or disguise old scars on the face. Facial deformities caused by skin cancer, burns, chicken pox or trauma surgery can cause a loss of volume, deep scars and asymmetry. Carefully-placed, small amounts of dermal filler can help restore what cancer or trauma surgery has taken away. Yes, we do offer topical anaesthetic cream to reduce the sensation of this treatment. Many patients find the treatment very tolerable even without the anaesthetic – but if you are unsure or anxious regarding this please let us know when you book. We can schedule you to come into the clinic 30 minutes prior to your consultation, allowing plenty of time to apply the anaesthetic and for it to take effect before your treatment. The gold standard for both women and men is a subtle, natural-looking result that allow them to stay authentic and true to themselves. The ‘puffy and frozen’ look is over; rather than making people look younger and healthier, it made people look strange and unnatural. The human eye quickly assesses the face and picks up any aspects that don’t make sense. Faces that are filled in the wrong places, or with too much filler, don’t follow the eye’s natural assessment of beauty. 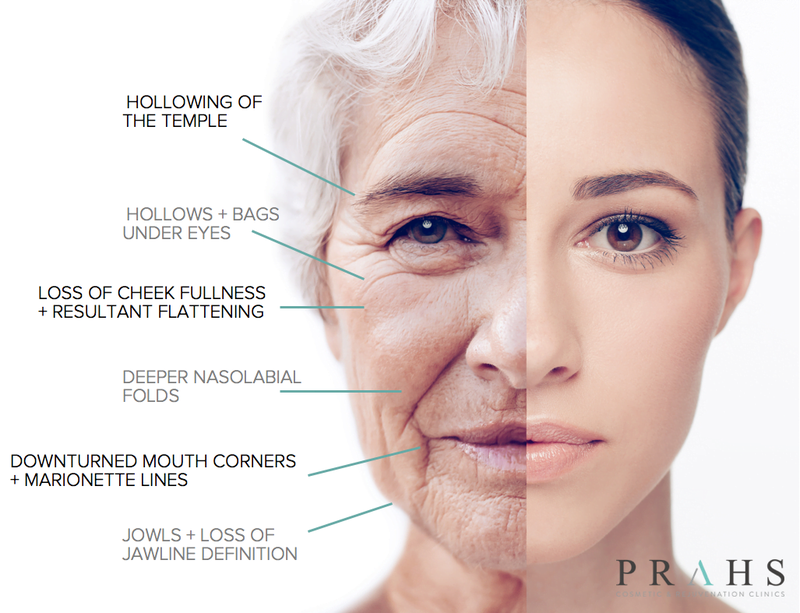 The PRAHS Cosmetic and Rejuvenation Clinics’ approach to fillers is about empowerment and options; taking charge of how well you look, without feeling the pressure to appear younger and unnatural. We want our patients to look good, whatever their age - not necessarily younger, but healthier and happier. Does pigmentation, melasma and the signs of sun damage make you look older than you feel? If you need makeup to cover up brown spots and discolouration, talk to us. Fraxel will remove skin that’s been prematurely aged by our Queensland climate, leaving you with skin so beautiful, you’ll want to wear it bare! Fraxel reduces lines, enlarged pores, congestion and acne scars by removing old, stressed skin and stimulating the growth of a healthy, fresh and luminous complexion. Fraxel also encourages the production of the body’s own collagen, to plump and smooth. Patients say it feels as though they have soft, baby skin again. One of Fraxel’s unique benefits is that it enables us to treat BOTH pigmentation and lines, pores and skin condition all in a single, convenient treatment. Lift off sun damage and pigmentation while stimulating the body’s own natural collagen production to plump, firm and rejuvenate the skin.